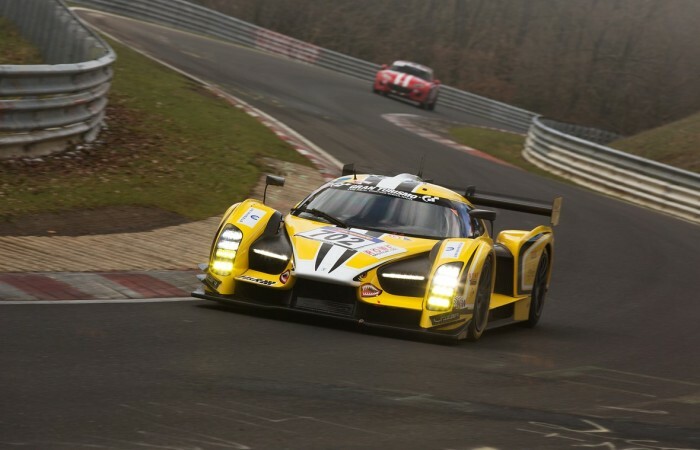 Under clear blue skies and bright sunshine, the first round of the VLN Endurance Series, also known as 60th ADAC Westfalenfahrt, took place this past Saturday at the Nürburgring Nordschleife in Germany. The event included a morning training session followed by a four-hour race in the afternoon. Team Black Falcon, as always, were aiming for a victory on their home circuit. However, the team came away with a more than satisfying second place. 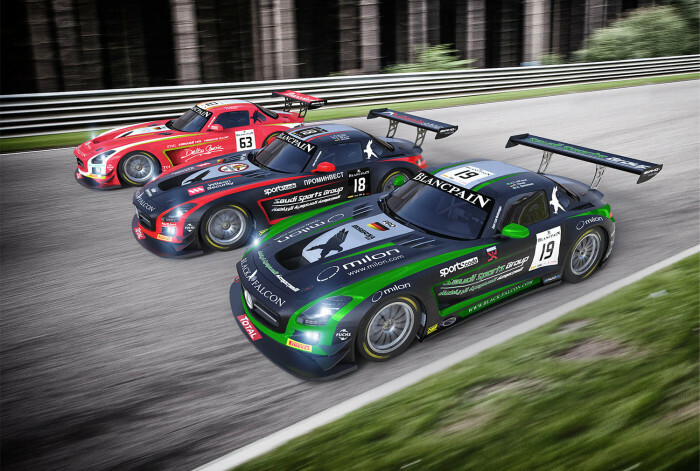 Driving the team’s Mercedes-Benz SLS AMG GT3 were Jeroen Bleekemolen (NED), Andreas Simonsen (SWE) and newcomer Lance David Arnold (GER) who impressed on his debut race with Team Black Falcon. The Black Falcon Mercedes SLS AMG GT3 started the race from the front row after its drivers set the second fastest time during the training session that preceded the race. The team’s fastest attempt was 8 minutes 12.511 seconds, enough to put it behind the pole-snatching Audi R8 LMS ultra of Phoenix Racing. 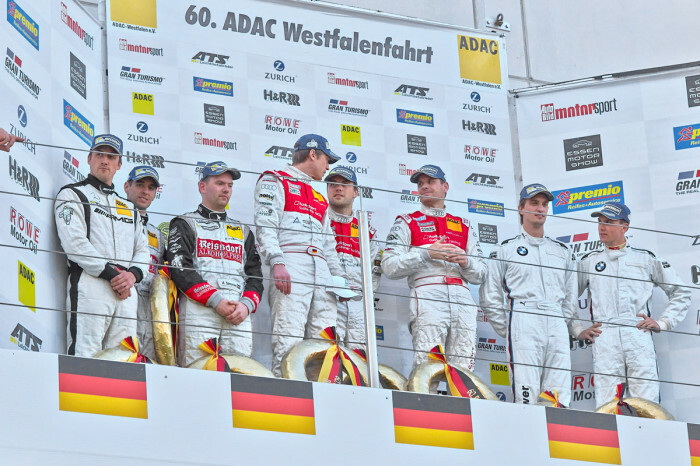 When the clock struck twelve, all 170 participating cars raced towards turn 1, with Team Black Falcon and starting driver Lance David Arnold losing second place to Marc VDS Racing’s BMW Z4 GT3. 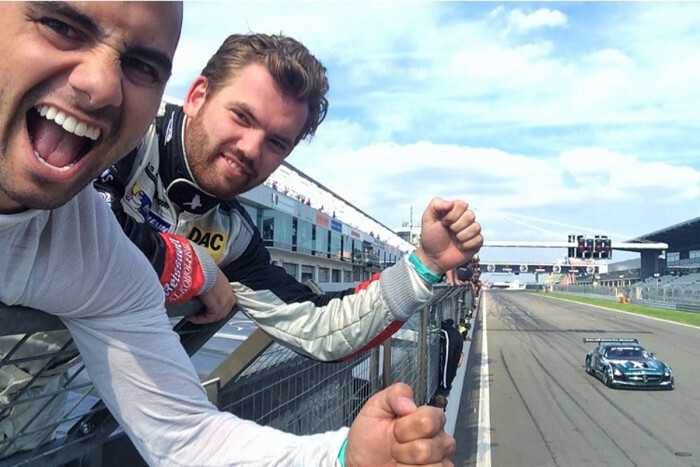 Arnold’s smooth and consistent performance, before handing the SLS AMG GT3 over to Jeroen Bleekemolen, helped keep the team within contention. Later, the highly experienced Bleekemolen drove a very strong second stint, keeping up with the second-placed Marc VDS BMW. It wasn’t before Andreas Simonsen’s stint that Team Black Falcon regained second place from the BMW, but victory was too far within the team’s reach by then. Simonsen drove the Black Falcon Mercedes to a satisfactory second place, making it Team Black Falcon’s second podium of the 2014 season following their third place finish at the 24 Hours of Dubai. The team now looks forward to the ADAC Qualifying race on the 5th of April, followed by the first round of the Blancpain Endurance Series in Monza on the 13th of the same month.